Symbol Only Roadway Warning Signs by Street Sign USA! Symbol signs are useful for communicating a condition or potential hazard without the use of written text. 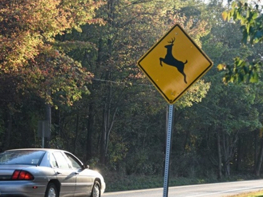 Alert drivers to an approaching condition by posting a symbol sign. Symbol signs are an ideal choice for HOA's, builders, developers, businesses, land owners, sign collectors. Makes a great gift idea!